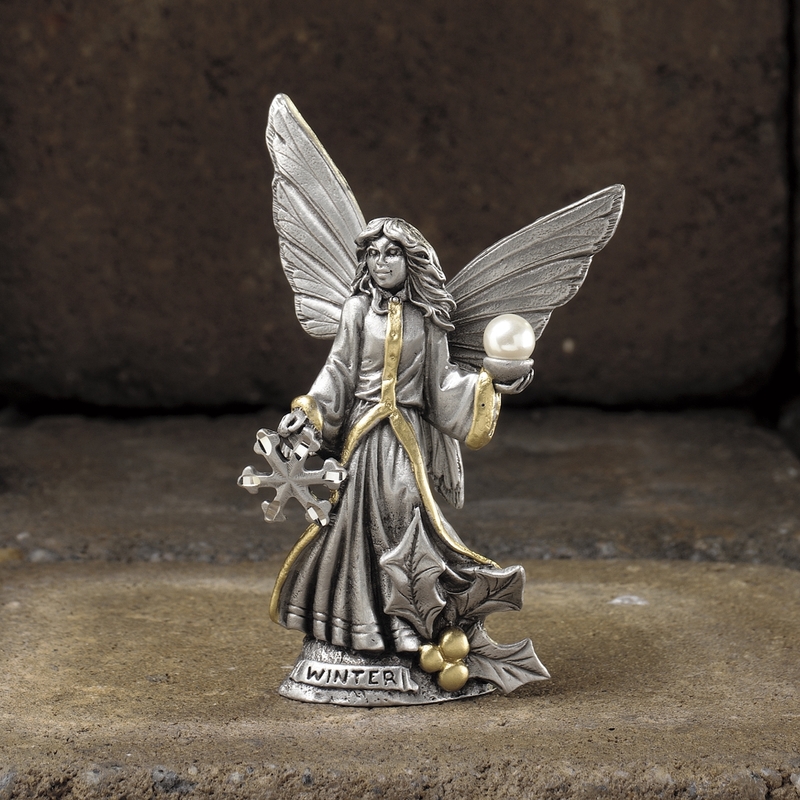 This beautiful pewter figurine features a fairy who represents winter! The pixie has a lovely set of butterfly wings, and garb edged in gold. She holds a shining orb in one hand, and a snowflake in the other! Near her feet are a trio of holly leaves and berries.